Posted by willhlaw in Gov 2.0, jPoint, sharejPoint, SharePoint, SPSDC, Web 2.0. [Update] – Schedule of presentations has been posted. My session is from 8:30 – 9:30am and bio page is here. On Dec. 5, the SharePoint Saturday for DC (#SPSDC) event will be hosted at the Microsoft Technology Center. The call for speakers were for non SharePoint 2010 content and specifically, for solutions that addressed relevant business needs for the Washington, DC area. In other words (more or less), this means “Who wants to talk about solutions useful for the Government?” I was interested and could have repeated one of my previous SharePoint presentations about reporting airplane incident/accident events within SharePoint or about categorizing your data to plan for various degrees of high availability in SharePoint. Both are certainly relevant to the government. However, after Dux Raymond Sy checked out the jPoint project, he encouraged me to submit a speaker form to discuss it. It is not directly related to the government, per se, but it will allow both the public and private sectors to improve the effectiveness of their SharePoint deployments. Here is the list of speakers (I am at the bottom). SharePoint Saturday will be promoting a Clothing Drive. Warm clothes will be especially helpful for the needy in the coming Winter months. I love when hard work can be directed towards a good cause, such as national safety, the disadvantaged, and of course, charity. Below is an excerpt from http://www.sharepointsaturday.org/dc/default.aspx. If you are planning to attend SharePoint Saturday DC on December 5, 2009, make sure you bring clothing that are new or in good condition to be donated to local charities like Salvation Army. Clothing-donation needs include: school clothes, coats and other cold-weather accessories, professional clothing for employment interviews, and shoes, which wear out quickly and must be replaced often, especially among growing children. Clothing donations to qualified charitable organizations are tax deductible. For tax deduction purposes, The Salvation Army publish guidelines for the valuation of donated items, including clothing and shoes. Have you ever wanted to hide certain fields in a SharePoint list form that were “For Office Use Only?” Or to create a chat/IM tool or AJAX enable a list, but did not have rights to deploy a custom solution on the server? Or to use drag and drop functionality on a SharePoint page? Many developers have turned to jQuery client-side scripts to solve these issues. Many solutions take to much time to get off the ground and they break when used in other browsers. And what about your current client-side scripts when you upgrade to SharePoint 2010? Will they work? These problems are being solved by the FREE open source community project called jPoint. It is hosted on codeplex at http://jPoint.codeplex.com. 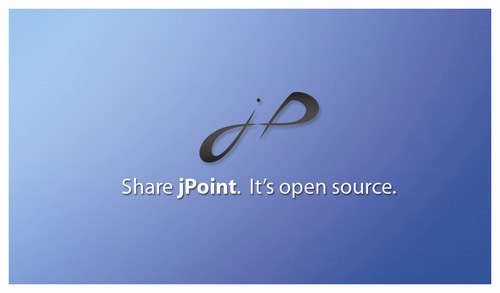 jPoint is a data access layer for SharePoint to make it easier for developers to work with form fields and communicate with the SharePoint web services. It also provides a deployment framework so developers can create jPart “plugins” that site Administrators can drop on their pages to create Web 2.0 mashups. This session level is ranked intermediate and for Special Interest. Leave me a comment if you are interested in the demo videos or any post-presentation material. Thanks.